Coming soon our online store opening. 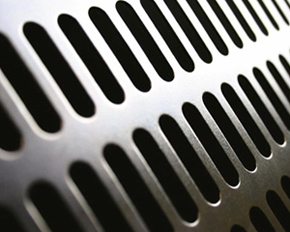 Technical service is essential for the proper functioning of CNC machining centres. 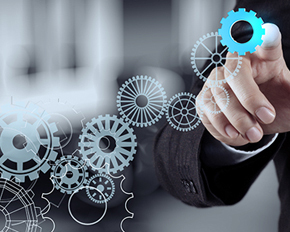 Training is an essential part of getting a good return on investment. 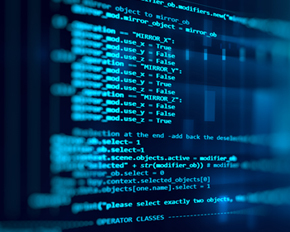 Software is a very important element for machining centres. A new concept, an excellent combination. 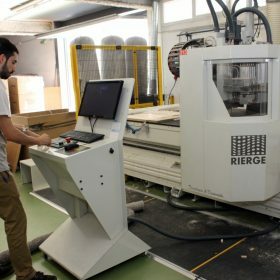 We are exclusively manufacturers of cnc machining centres, for all industrial sectors, with a great diversity of models and formats and with applications of automation of the processes. For the machining of differents materials destined to aeronautical, automobile, railroad sectors. We have developed a whole range of CNC machining centres, designed for plastic materials machining. 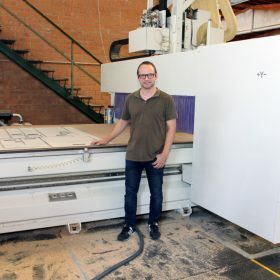 We have a very wide range of CNC machining centres, for woodworking. “We were looking at some options. 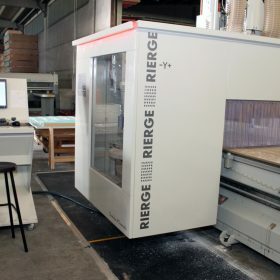 RIERGE is specialist in machining centers, and they manage very advanced technology. 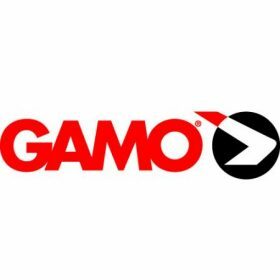 We value their proximity and the fact of being a spanish manufacturer. 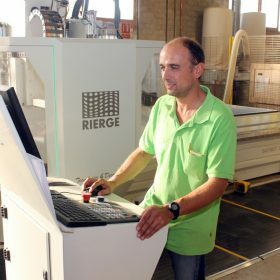 Every component of RIERGE's machines are easy to find, and their technical service is fast and efficient". 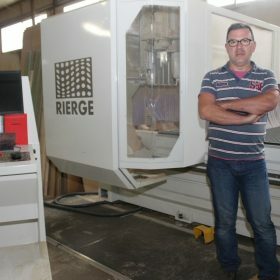 “Besides being a complete, robust and fast machine, the new RIERGE is compatible with the other machining center we have at the warehouse". "We have not any limitation, we can do any carpentry or joinery element custormers ask to". Easynest COMBI incorporates both subjection system, multifunctional table and clamp-holder consoles. 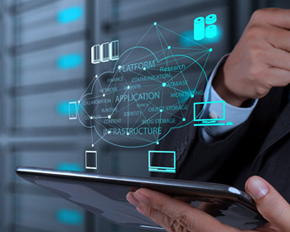 “We have evolved to a product with much more quality and a greater added value. 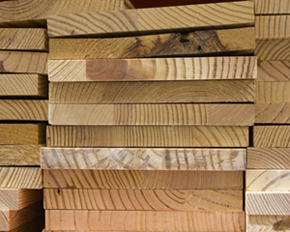 Wood is protagonista in interior decoration: on floors, doors, stairs, furniture and coating. RIERGE's Easynest Evolution makes easier to achieve our goals". 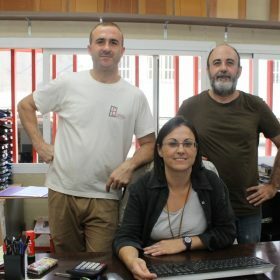 “We were looking for a maximum precision to perform molds and very special mechanizes for singular costumers, of high added value. It is a robust, fast and easy yo programm machine, and it also allows to mechanize very little pieces". 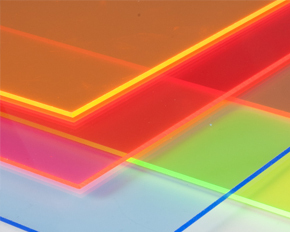 “There's almost no need to catch and handle weight, and we use the material to the fullest". "Instead of retiring, I decided to buy the machine -he jokes-. Nesting system convinced me, because we work as one handred percent the flat surface". “We have chosen RIERGE because we look at the future and we calculate that we will make very important productions. With them we can cover the growth that we expect". 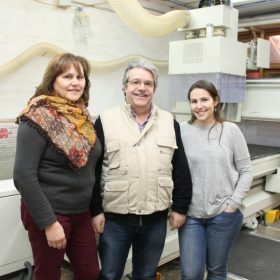 “To manufacture the furniture armours, we generate small and varied pieces, we have biult the machine to suit our needs. With the Z axis track, we can mechanize up to three boards simultaneously". 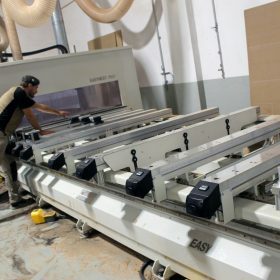 “If we had not invested in the new machining centre, we would not have been able to accept some orders. 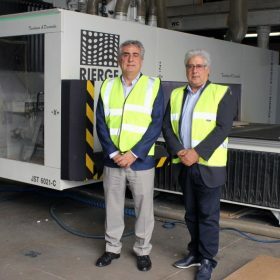 Thanks to RIERGE we have strengthened and propelled ourselves again in the wide radius around our site, at the northeast of Girona". 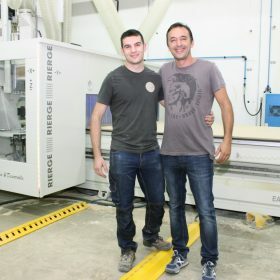 “We have undertaken a Renove Plan, incorporating new machines in our facilities in Sabadell. 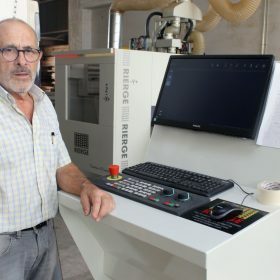 First it was the sectioning machine, then the edging machine and, finally, we bought a new machining centre with numerical control". “We dress complete spaces, stores, houses, offices... and we dare with the most difficult forms and solutions, because we know the trade and we have equipped with high technology". “We had never scheduled a working on a computer. 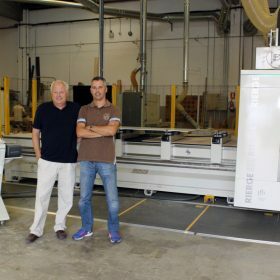 Nowadays we present beatiful, bold and daring projects... And we completely machine them, with quality and presicion, in our new machine”. 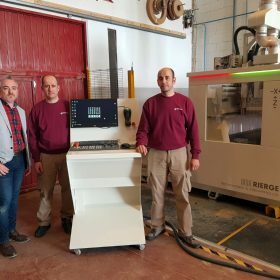 "RIERGE has shown us than small workshops can also have a machining center, improve and progress with the technology of the great". 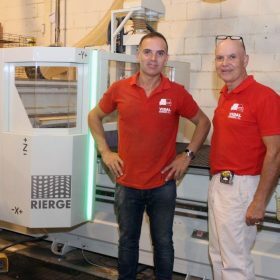 "The incorporation of Rierge's integrated solution has given us flexibility in the manufacture of doors and speed in the delivery". 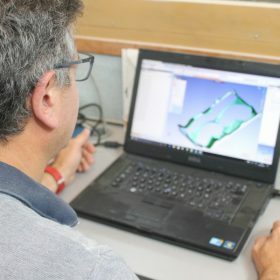 "We wanted to make new models, with the most modern machining technology, and we needed a machine that lived up to our goal". “We got a perfect finish. My clients have been expecting this for some time, and I already have several templates in my portfolio; each one more complex than the previous one". Alignment, reading and compensation of adjusted tolerances by laser interferometer. Axes' calibration by ballbar system. Alignment structures and axes by Laser Tracker.